Nestled in behind a small glass storefront in central Frankfurt is a one-of-a-kind throw utopia. Blanket Store is a niche boutique dedicated to—yes, you guessed it—blankets, and owner Natalie Gray has found inventory that’s stitched, knit, and woven around the world. Assistant Editor Jordan Kushins stumbled upon the shop when wandering through the city on a cold, snowy day last month and couldn’t think of anything more inviting than the warm wonderland dedicated to keeping you cozy and your home a little bit brighter, so she asked Grey to open up about her coverlet sanctuary. 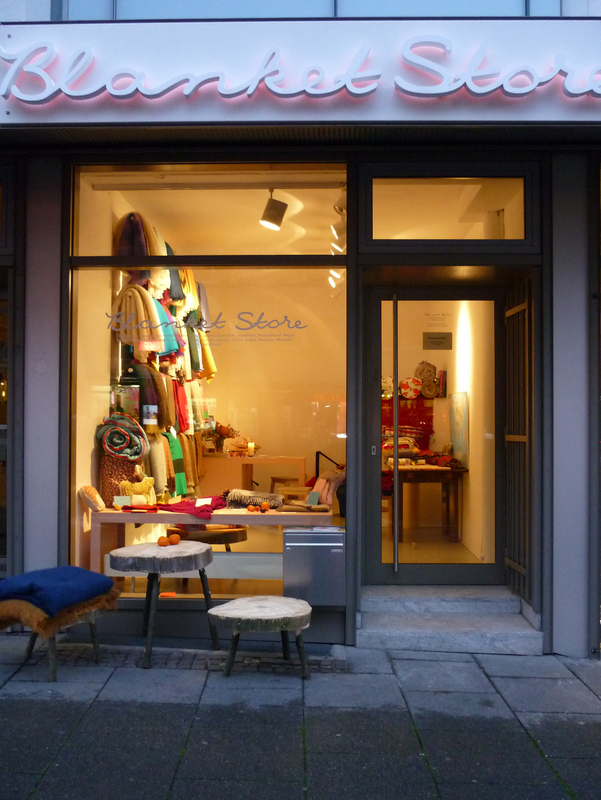 Natalie Gray's Blanket Store has been a Frankfurt staple since it opened its doors at this location in October 2009. Rows of blankets line the wall, and the shop offers an international selection from 18 different countries. Lithuanian Mirage. "This blanket comes from New Zealand sheeps' wool," says Gray. "I like the old-fashioned pattern, and the good robust quality. My idea of a true blanket." Hudson's Bay Point. "I like the very basic colors and the history of this blanket." Picnic Blanket. 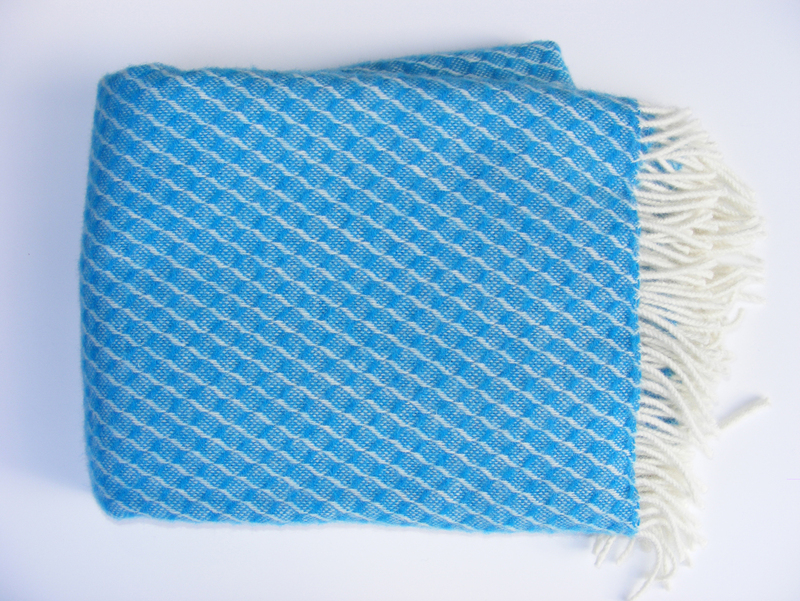 "I like this handwoven picnic blanket (with a wax cloth sheet!) from England because it's made by a small company in a small town. They don´t always answer the phone or emails, so I always imagine them out drinking tea in their garden." Colour Bomb. "By Scholten and Baijings, designers from the Netherlands." Clean Edge. "Very chic design, from Peru. It is made from the softest kind of baby Alpaca wool, which actually comes from the neck area. Midnight Blue Mohair. "This is from South Africa. It's the softest and lightest Mohair I have ever touched, and the blue is very deep but warm." Mohair Felted Blanket. "This was handwoven in Germany, and felted afterward. 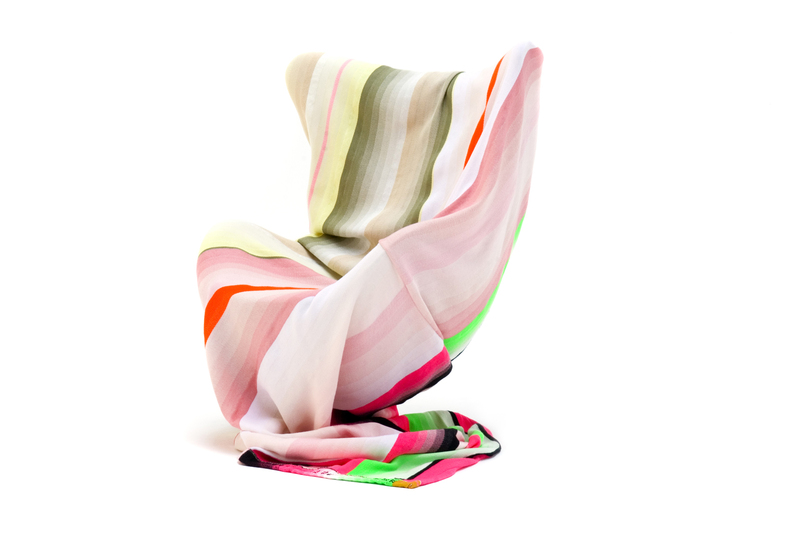 These blankets are offered in fine color combinations and are very warm and robust." Stripes. "It's hard to imagine that this cotton bedspread from Bangladesh is actually handmade. One blanket takes 3 months to make, and if you look closely you see the tiny white stitches everywhere." When did you open the Blanket Store? I opened the Blanket Store last October, but the started the shop (with a smaller selection) in an organic ice cream parlor and a furniture store the winter before. What inspired you to expand? I could never find more than one or two interesting blankets in one spot, and most of the blankets I saw were in hundreds of different beige tones instead of the colors the world has to offer. So, I figured, why not have a store that offers the variety from around the globe? I studied art and design and have always loved colors and the beauty of natural materials. I love that I can contribute to make the world a little more colorful, and that I get people who never even thought about blankets before to want one. I can’t decide! One of my favorites, though, is the “Mirage” blanket from Lithuania, which was Blanket Store’s first blanket. How does your personal taste influence what you sell in the store? I like simple things and am pretty bossy about colors, but I’m quite open. I can be drawn to a mix of colors, a special hue, the way it’s woven, the story. I personally prefer mohair or sheep wool blankets more than cashmere, because I wouldn’t hesitate to really use them, but I wouldn’t sell anything I don’t like. What's the neighborhood like around Blanket Store? My store is across the street from the “Kleinmarkthalle,” Frankfurt’s market hall, which is famous for food from around the world, but also offers Frankfurt-style specialties sold directly from the stand owners. So you could say the area is kind of old-fashioned in a lively way. Where do you find your wares? I get the blankets at international fairs, small markets and nice coincidences. Some of my designer friends also make very limited editions. What’s the plan for the warmer spring and summer months? I haven’t had a summer season with Blanket Store yet, but blankets are simply a part of having a home: long summer evenings can be cold, friends might spend the night, kids need them to make a cave or to play ghost. I also sell bedspreads, sleeping bags and real English picnic blankets with a wax cloth layer, and might sell summertime things like bicycle accessories and interesting other things from small projects from throughout the world.